Don't miss this awesome rental opportunity. BRAND NEW! 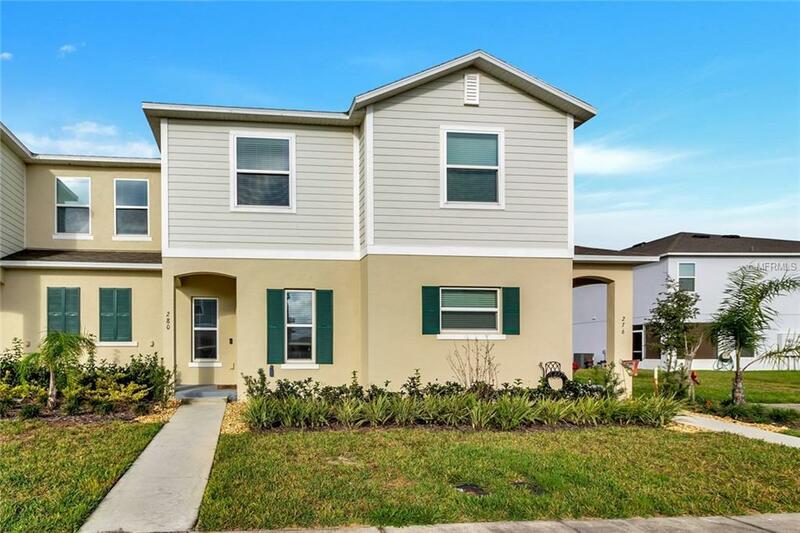 3/2.5 townhome with a terrific floorplan plan featuring large great room, lanai, storage area, 42" cabinets in kitchen, extensive ceramic tile flooring, new appliances; refrigerator/washer/dryer, blinds package and much, much more. Awesome location: It's close to fine dining, shopping, and just minutes from Disney and other attractions. Conveniently located near Posner Park Shopping Mall and Movie Theaters, Celebration and other theme parks. Listing provided courtesy of Citarelli Realty Group Llc.